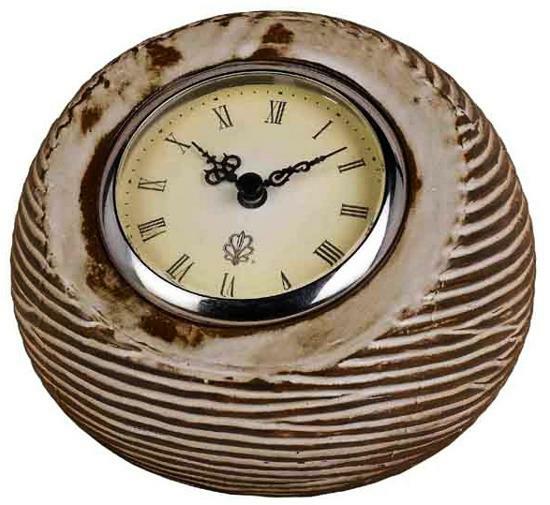 Keep on schedule with the help of this desktop Zebra textured clock. profile enhanced by a tactile musteline finish. Black roman numerals against an ivory face.